All loft conversions need Building Regulation Approval. Either you’re Local Authority or an Independent Building Control Company would be appointed. Full plans and structural calculations will be submitted to the chosen Building Control authority. These, in turn with onsite, visual inspections will ensure that the proposed design and work is sufficient to meet their requirements. Once they are satisfied that your loft conversion meets the set Building Control Regulations, a completion letter will be forwarded to you. A loft conversion for your house is considered to be permitted development, not requiring an application for planning permission. This is because the effect of such developments on neighbours or the surrounding environment is likely to be small. The permitted development allowances described here apply to houses and bungalows, not flats, maisonettes or other buildings. Please bear in mind that any previous roof space additions must be included within this volume allowance. Although you may have not created the additional space, a previous owner may have done so. Roof extensions are not permitted if your property is within a conservation area. An extension beyond the plain of the existing roof slope of the principal elevation that fronts a highway is not permitted development. No part of the extension to be higher than the highest part of the existing roof. Balconies, verandas or raised platforms are not permitted development. Any side facing window must be obscured glazed and non-opening unless the parts which can be opened are more than 1.7 meters above the floor of the room in which it is installed. Roof extensions, apart from hip to gable ones, to be set back, as far as is practicable, at least 20cm from the eaves. The 20cm distance is measured along the roof plane. Work on a loft or any roof may affect bats. You need to consider protective species when planning work of this type. If you want to be certain that your property does not require planning permission, an application for a lawful development certificate can be applied for at your local authority. It is not compulsory to apply for a Lawful Development Certificate but you may be required to produce one at a later stage for example when selling your property. This certificate will confirm that your loft has been converted using your Permitted Development Allowance. 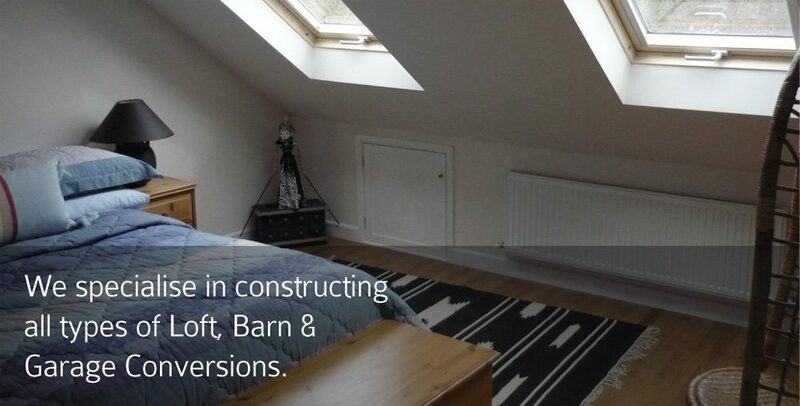 Should your proposed loft conversion not be permitted under Permitted Development and a Certificate of Lawful Use be refused, a Planning Permission Application would need to be submitted to your Local Authority. It is their responsibility to decide whether a proposed development should go ahead. Planning permission takes approx. 8 weeks from the date the validate your application. We will consult with the Planning Officer appointed to your application to check the progress of it and act accordingly should it be visible. Walls shared by adjacent properties are usually jointly owned by the two owners and are termed party walls. The party wall act provides a framework for preventing and resolving disputes in relation to party walls. If you intend to carry out any work to the party wall, it is your duty to inform your neighbouring property of your intentions. This should be done in writing before work commences. The Act contains no enforcement procedures for failure to serve a notice, However, if you start work without having first given notice in the proper way, adjoining owners may seek to stop your work through a court injunction. An adjoining Owner cannot stop someone from exercising the rights given to them by the Act, but may be able to influence haw and at what times work is to be done. It would be advisable to discuss your plans with your neighbour first. You may find that they have no objections. Even if they are not 100% supportive of your decision, they will no doubt appreciate being asked and consulted.